Ten years after Swift’s paean to cannibalism, another celebrated author, Dr. Samuel Johnson, would befriend the same Formosan—now an opium addict eking out a meager living as an anonymous writer in London’s East End. We still don’t know the real name of the man who, like an eighteenth-century Forrest Gump, rose from what he described as humble origins to hobnob with the likes of Swift, Johnson, and even Isaac Newton. We do, however, know that he called himself George Psalmanazar, and that he claimed to be a native of Taiwan despite sporting shoulder-length blonde hair and speaking in an accent that sounded suspiciously French. 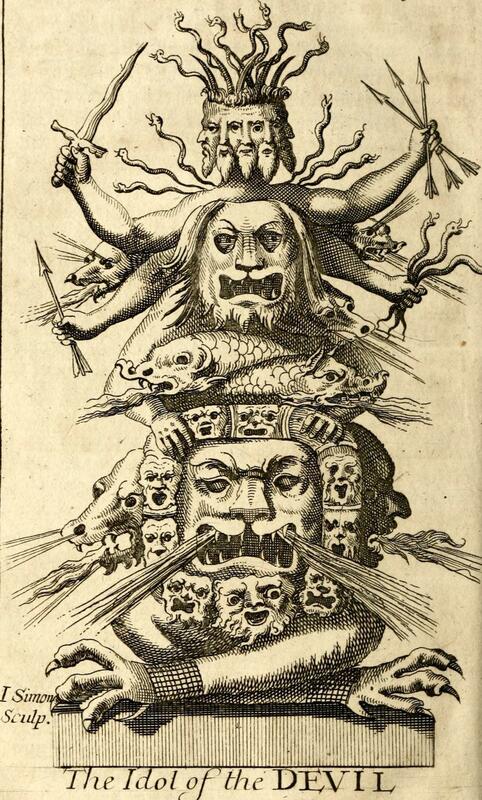 Psalmanazar’s salaciously imagined Taiwan, memorialized in his 1704 book An Historical and Geographical Description of Formosa, was nothing like the real thing: he described aristocrats who breakfasted on viper’s blood, students who were fluent in ancient Greek, and priests who sacrificed thousands of infants to a horned god. But his stories impressed English audiences who knew next to nothing about Asia. 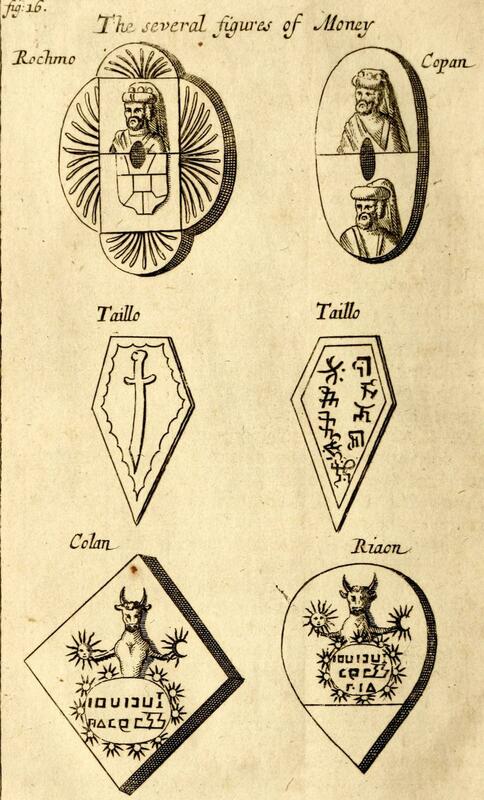 Below are some engravings of Formosan life based on drawings made by Psalmanazar himself. 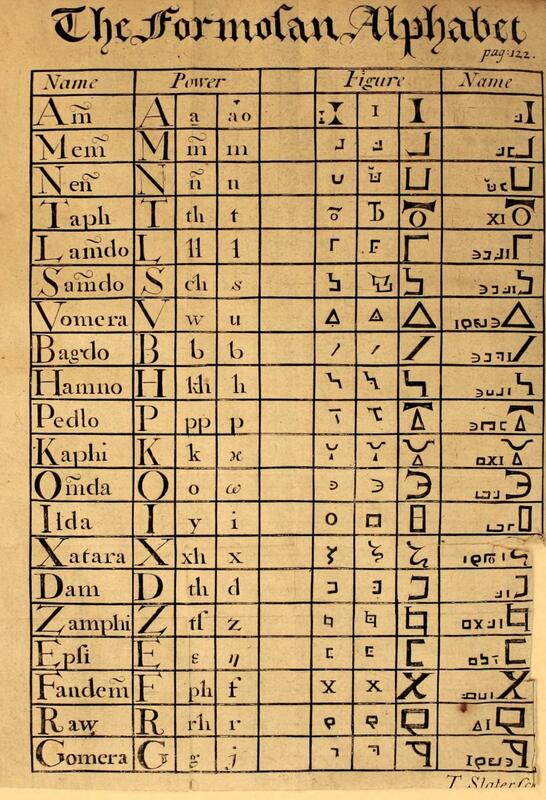 They include “Country Bumpkins” puffing on pipes while sporting enormous belts, an “Idol of the DEVIL” combining motifs from South Asian and Mesoamerican art, and the faux Formosan alphabet that Psalmanazar brazenly invented and even attempted to teach to future missionaries at Oxford University. You can read more about Psalmanazar and his Formosa hoax on The Appendix, a new journal of experimental and narrative history. 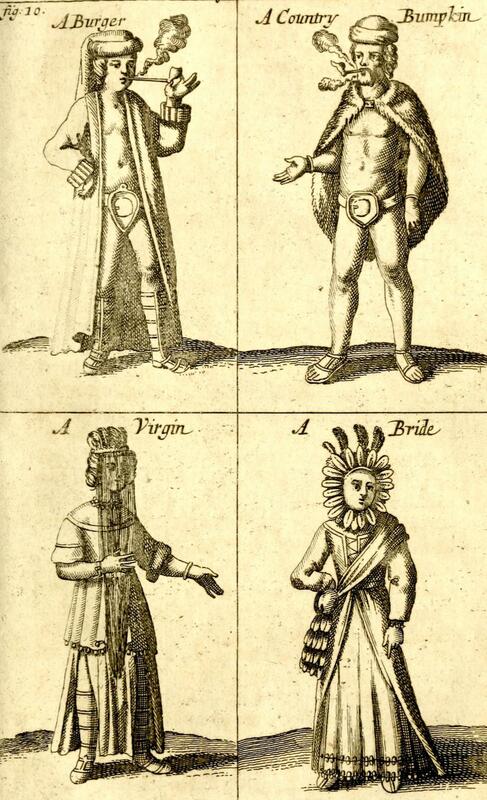 George Psalmanazar, An Historical and Geographical Description of Formosa (London, 1704). Via Archive.org.